A few days ago, I realized that I achieved my life’s purpose for the first time. But for a long time, I’ve been struggling to really align with my life’s purpose. I felt like everything I did was pushing me one step closer to what I was meant to be doing. But then at the same time, I felt so unaligned. A few months ago I read the book, Claim Your Power by Mastin Kipp. 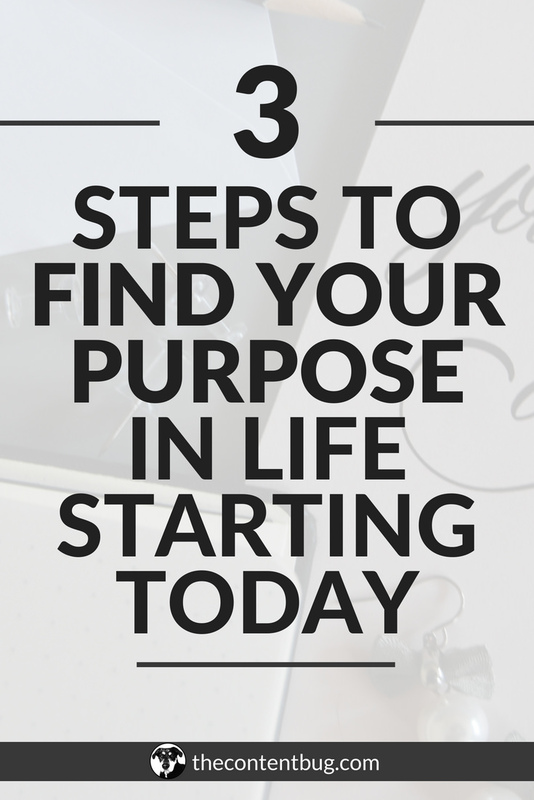 And if you’re really struggling to find your life’s purpose, then you need this book. 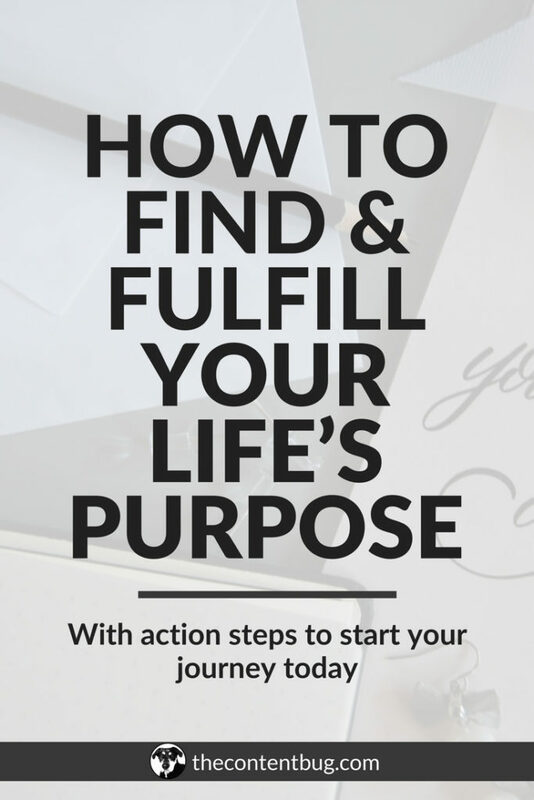 It’s a 40-day journey to really uncover what’s going on in your life, mind, and soul that can lead you to live a more fulfilled and meaningful life by ultimately following your purpose. And it was because of this book that I was able to uncover my life’s purpose. And once I said my purpose out loud to myself for the first time, a shock went over me. I knew right then and there how accurate it was. And it felt like this missing puzzle piece just fell into place. So you want to know what my life’s purpose is? “My higher purpose is to accept myself and to find peace in helping others do the same”. For most of my life, I struggled to accept myself. I didn’t know who I was so I would copy the personalities of other people. I was embarrassed to ever stand up for myself and what I wanted because I thought my ideas wouldn’t be what other people wanted. So I tried to please everyone else and just mimic them. And if you’ve ever been in this position, then you know how hard it can be. You end up getting so caught up in being everyone else that you completely mask who you are. And when it comes to the end of the day and you have to lay down with your thoughts, you feel lost. No using the phrase ‘I don’t know’. Speak your mind the first time. When people ask you what you want, answer honestly always. I’m not going to tell you that being myself was easy. Because it wasn’t. But after working it on it for well over a year, I finally started to feel comfortable in my skin. And that’s where the whole acceptance thing comes into play. Your purpose can typically be revealed from your past. Whatever experience you had to overcome, whatever struggle was thrown your way, they all happened for a reason. And that reason could lead you to your purpose. For me, I struggled to accept myself for the longest time. And I now know how many people out there also struggle or have struggled to accept themselves. So the 2 things that I’ve been searching for my whole life are acceptance from others and peace in all aspects of my life. But what I didn’t realize was that when I was looking for acceptance from others, really all I ever needed was to accept myself. And by accepting myself, I could give myself the peace I was looking for! And to be completely honest, I only discovered this because of Mastin Kipp’s book. So if you are at the point where you are struggling to make the connection, definitely check that out. Once you discover your purpose, you need to try and find a way to live up to it. There is no point in continuing on with your life was before. You need to make changes so you can feel more aligned with your highest self. When I first discovered my purpose, it took me a week to realize that my blog wasn’t helping me to follow and achieve that purpose. I was helping people to create their success online. But I wasn’t helping them to accept themselves! And when I realized this, it hit me hard. So I made some changes to my mission, to my website, and to my messaging overall. But it wasn’t until this week that I really realized that I was actually living up to my life’s purpose. That I was actually making an impact on people’s lives to the point where they finally start to accept themselves. If you follow me on Instagram, then you may have seen my IG story where I said that I was taking some time off. Something happened in my personal life that needed my full attention and I needed to just sit and feel all the emotions flowing through me. At first, I wanted to be upset, angry and sad. But after 2 days, I found the utmost peace. And I couldn’t make sense of it. Most people in this situation would be mad for months. They wouldn’t be able to bounce back. So how did I get so lucky?! And then it hit me, although the situation isn’t the greatest, I was able to help someone finally accept themselves for who they are. And although it wasn’t what I was expecting, and I had all the right in the world to be mad, I was at peace. Because I had achieved my purpose in life. 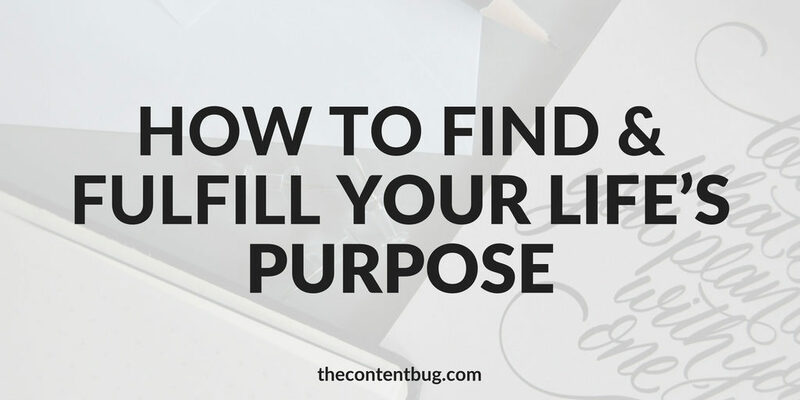 Discovering your life’s purpose isn’t an easy task. For a while, I honestly thought that I would never discover my life’s purpose. I almost thought that it was something that people don’t find out until something major or tragic happens. Like the wake-up calls that people talk about. Something happens and their life is forever changed. But for me, it didn’t end up happening that way. Like I already said, I read the book Claim Your Power and within those 40 days, I had a better idea of what my life was meant to be. Now I’m not going to steal his strategy and tell you exactly how you can find your purpose statement. If you want to work through that book, I highly recommend it! But I will give you a simple 3 step process that you can follow to help you find and fulfill your life’s purpose. We can categorize our life by the emotions that we feel. Happy. Sad. Love. Peace. Rejection. Embarrassment. Anger. Connection. Acceptance. Joy. Trust. Disgust. Contempt. And most of our lives, we are trying to achieve certain emotions. So if you want to uncover your life’s purpose, start by writing down all of the emotions you’ve been wanting to feel. What you look for when you talk with someone? What do you want to achieve from the success of your career? Just about anything you do in your life… what emotion are you trying to reach? What does your soul long for right now? And I’m not saying that you need to only write down 1 emotion that you are chasing. Instead, write down all of them! Once you have a list compiled, then go through and circle your top 2. If you could boil the whole list down to the 2 that are most important to you, what would those be? And from there, you have already started to uncover your life’s purpose. I used to think that your purpose only involved other people. Like it had nothing to do with yourself. HA! Now looking back, that seems so silly! Without you, there wouldn’t be a purpose to begin with. So your purpose has a lot to do with YOU. And the next step is to find a way to feel what emotions you’ve been chasing. For me, I was looking for acceptance and peace in my life. So I quickly discovered that I had to accept myself to find peace in my life. But I’m not saying this like that’s going to be the way it is for you! Sure, maybe your purpose is to love yourself. But maybe it’s also to allow yourself to have a deeper connection instead of avoiding your problems. Maybe you need to do what makes you happy so that you can find real joy in your life. It’s going to look different for everyone. But you need to find a way to achieve what you’ve been looking for. And once you know what you have to achieve, then you have to find a way to help others do the same. Whatever you’re struggling with, there are at least 10 other people out there that are struggling with the same thing. Heck, there could be thousands or millions of people who are struggling with the same thing! So once you figure out how to achieve what you’ve been looking for, you need to find a way to make a real impact on others. This life isn’t just about any one of us. You can’t go through life only putting energy into yourself. You also have to find a way to put energy into others to make a real impact. Because without a sense of impact, we lose our sense of purpose. So how can you find a way to impact others?! For so long I was struggling to accept myself. I know what it’s like. And I know that I can make a real impact by helping other’s accept themselves. And with The Content Bug, my hope is to not only help people to accept themselves but also find the courage to be confidently themselves by chasing their passions and growing their audience online to make it all possible. And that’s exactly what we are getting to next. Depending on what stage in the game you’re at, fulfilling your life’s purpose is going to look different. You might be at the beginning stages where you just need to find a way to feel the emotion that you’ve been looking for. Or maybe you feel like you already have a good grasp on that and now you’re ready to make an impact on the world. The first thing you have to do is align your life to fulfill your purpose. If your purpose is to help other people to love and appreciate their body’s by educating them on the food they consume but you don’t have a job or a platform that does that, then there needs to be a change. I’m not going to tell you that you need to start a blog or an Instagram page to help promote food awareness. It could simply mean that you change your career path. Maybe you go back to school. Maybe you find a way to volunteer at something relevant. Maybe you teach free classes on the weekend at a public library. Whatever it is that you feel passionate about, you can find a way to make it possible. So start brainstorming all of the things that you can do to fulfill your life’s purpose. And start working toward them! 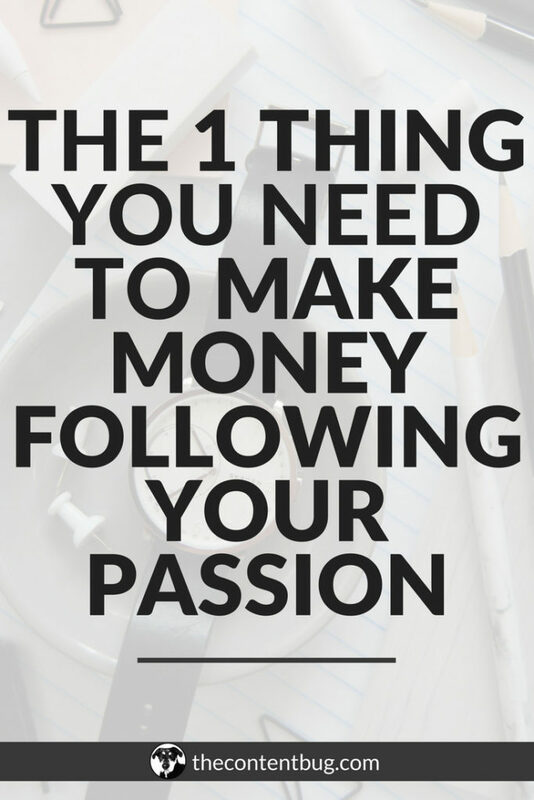 RELATED: Can You Really Make Money Doing What You Love? 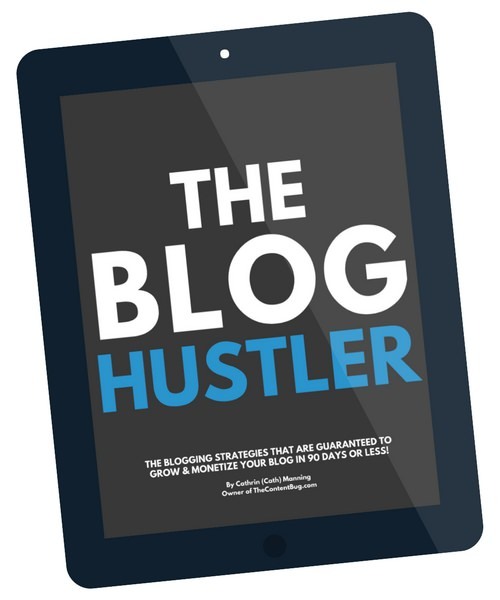 What if you want to start a blog or a business to promote your message? If you’re anything like I was a few years ago, then you might be desperately looking for a way to break away from your 9 to 5 job and create a career of your own. Maybe it’s for the freedom. Maybe it’s for the money. Or maybe you just want to do it because you think it will make a greater impact. Whatever it is, I support your decision! And you never know what you’re really going to like until you give a few things a try. So if you want to try starting your own blog or business, there are some things I would recommend to you. If you’re seriously considering starting a blog, then you’ll definitely want to check out my free e-course, Start Bloggin’. 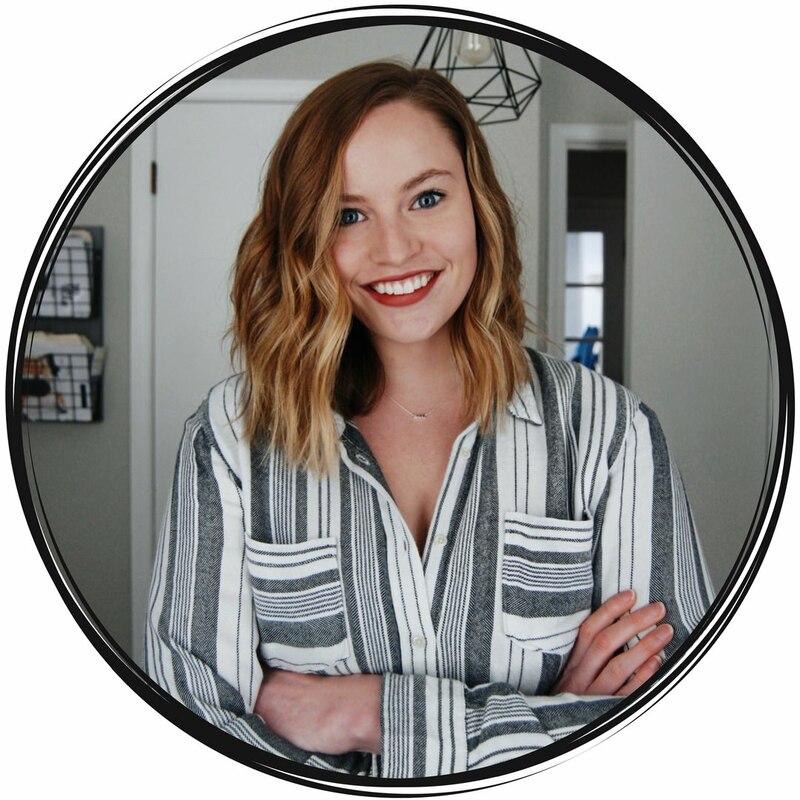 Within a couple of videos, I’ll help you to buff out all of your ideas and give you the resources and tutorials you need to actually start your blog the right way. Plus, this is a great course to help you really decide if blogging is the right option for you. Because if it’s not, then you don’t want to invest a couple hundred dollars in it over the next few months. I’ve run into a few bloggers that actually go their start on Instagram. 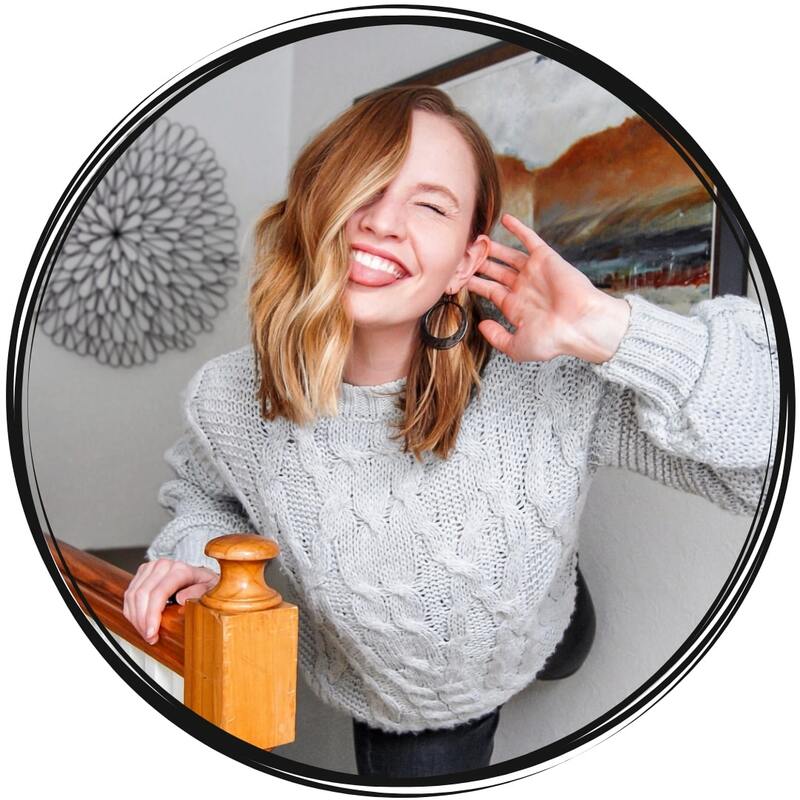 Ever heard of an Instagram mini-blog? It’s when you share longer-form captions on Instagram that transform your Instagram into more than just a place for images. Instead, you use it to share your thoughts and educate and impact others. 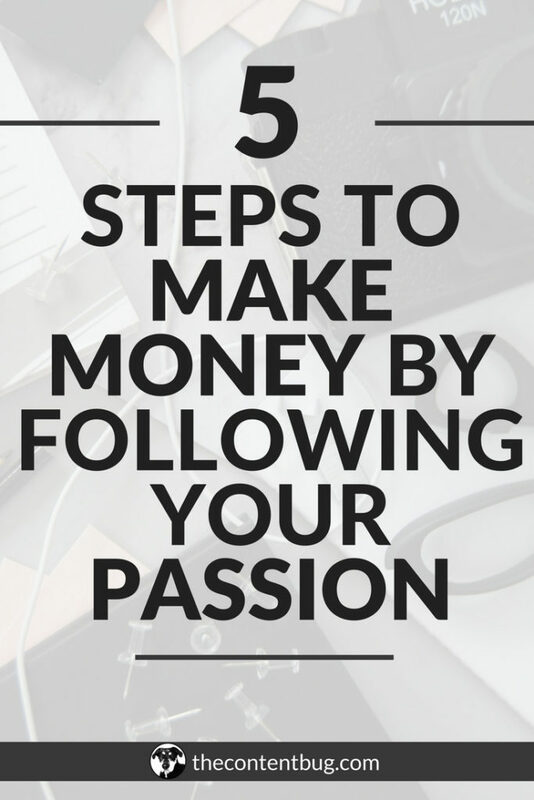 And if you don’t want to invest your money right now into starting a blog or a business, then this is a great free option to give it a shot. If you’re thinking about starting a business but don’t know where to get started, just know you’re at the exact same spot that every successful business owner starts out at. So you just have to go for it. Come up with what your mission is going to be. What services or product you are going to provide. And then an action plan to move forward! And if you think you’re gonna need to start a website, then I recommend taking my Start Bloggin’ course even if you don’t want to start a blog! 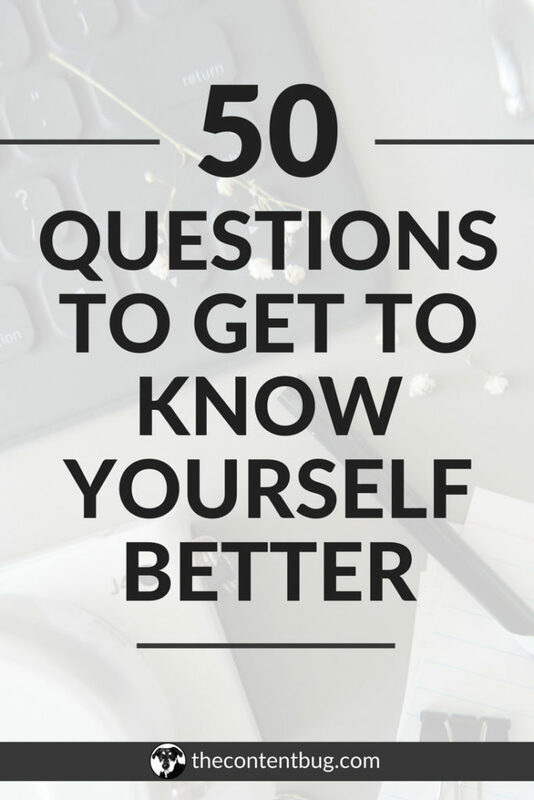 It still goes over all the information you need to get started in the online world. I just threw a lot of information your way. And I’m not expecting you to have your life’s purpose all figured out just by reading what I wrote above. But I’m hoping that it at least got you thinking and moving in the right direction of finding your purpose in life. And more importantly, put you on a path to achieve the purpose and make a bigger impact. Now go out there and change the world!